We are available 24 hours a day at (888) 915-8868 and will respond to any emergency disaster restoration services in the Summerville and Goose Creek, SC area. Our water damage restoration services are aimed to help combat a flood as quickly as possible. We are aware of how stressful flooding can be and want to restore your property as fast as we can. 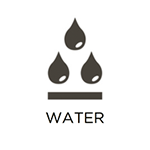 When your home has been flooded, water will spread quickly from room to room. As the water spreads, your chance of structural damage increases. In addition to this, your home is susceptible to mold and mildew growth. At RestorationMaster, we will remove excess water from your home and completely dry and restore all damaged areas. Indoor flooding is an emergency situation because the flood water can cause devastating damage to the structural elements and furnishings in a home or building and even lead to unsanitary conditions. Your home or business may become flooded from extreme weather conditions like rain and natural floods but it can also happen as a result of sewage backups, leaks, and overflows. It is important to call a professional immediately after experiencing indoor flooding to prevent the water from spreading too deep and causing structural damage. 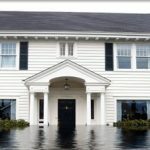 RestorationMaster provides flood damage restoration to remove standing flood water and restore affected homes and buildings in Summerville and Goose Creek, SC. 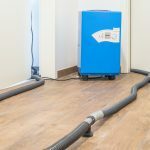 Our advanced equipment is effective for removing flood water and we can also safely cleanup the damage caused by a sewage backups. 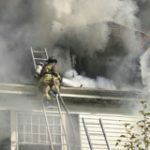 A fire can be one of the most devastating disasters that can happen to a home or business. 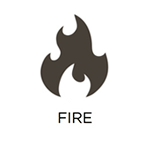 In order to prevent further damage, it is important that you begin restoration as soon as the fire is put out. Otherwise, soot, corrosive byproducts, and smoke will bring further damage to your home. RestorationMaster provides fire remediation services to combat the damage brought on from a fire. We offer fire restoration services in the Summerville and Goose Creek, SC area and will use our best technicians to bring your home back to its former glory. Our technicians use the greatest cleaning products and equipment to prevent further damage to your home and restore all existing damage. If not treated immediately mold can spread rapidly and thoroughly damage your home. 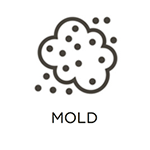 When mold spores and a food source combine, mold will rapidly begin to grow. Mold can cause health issues, trigger allergies, and spread infection. At RestorationMaster, we offer mold remediation services for homes in the Summerville and Goose Creek, SC area. Our InstaScope testing is the best in the business and will locate all hidden mold in your home. 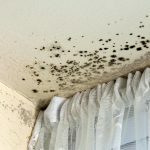 The presence of mold growth is a huge hassle because it causes serious property damage and health problems and it is always a risk to spread and damage new areas. Moisture often causes mold growth to appear and it feeds on cellulose which is found in drywall, wood, and other common building materials. Mold can cause irreversible damage if given enough time and the health problems caused by mold will get worse with longer exposure. RestorationMaster provides mold removal services and testing for homes and businesses in Summerville and Goose Creek, SC affected by mold growth. 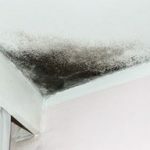 We can effectively clean up the mold growth with our advanced equipment and we use the InstaScope testing system to ensure that all mold has been removed. The HVAC system is one of the systems in a home or building that is usually overlooked until something goes wrong. As the system runs the heating and cooling, dust and other airborne debris pass through the system and gather on the air ducts and internal parts. This causes the HVAC system to work less efficiently which will raise your heating and cooling bills, and the built up debris gets distributed back into the breathing air which lowers the indoor air quality. RestorationMaster provides air duct cleaning services in Summerville and Goose Creek, SC for homes and businesses. We will remove all the built up dust and debris for more efficient heating and cooling. Sometimes a disaster is so serious that it can destroy the structure of your home or building. In order to have a safe place to live, a reconstruction team is necessary. It is important to contact that reconstruction team immediately so that the damage does not get worse. 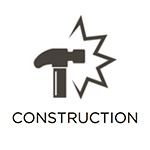 RestorationMaster offers these reconstructive services. We will rebuild all different types of homes, buildings, and apartments in the Summerville and Goose Creek, SC. Our technicians have been specialized in reconstructive training and are capable of making this process as simple as possible. The appearance of your home is very important when making good first impressions and building relationships. That is why it is so important to maintain the appearance of your carpet. Your carpet is at the center of any room and contributes majorly in making your room look clean and polished. When you have constant foot traffic this causes debris, mud, and dirt to build up. In order to maintain the cleanliness of your home, be sure to schedule regular carpet cleaning. 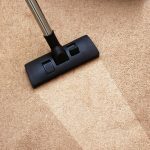 Call RestorationMaster for professional carpet cleaning services in Summerville and Goose Creek, SC. We use our advanced cleaning systems to remove debris and deeply embedded stains. Hardwood floors are a source of natural beauty in your home and they can look impressive if they are well maintained. Dirt and debris consistently gather in the crevices and wood grain of a hardwood floor and if given enough time, it can wear out the finish and diminish the appearance of the floor. RestorationMaster provides hardwood floor cleaning services in Summerville and Goose Creek, SC to deep clean and restore hardwood floors. 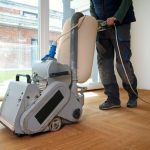 Our state-of-the-art equipment allows us to steam clean your wood floor and restore its natural beauty for an impressive shine. As we have learned more about hoarding disorder, the services that are meant to help those who struggle with hoarding have improved. 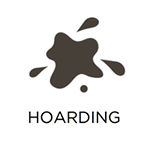 We now understand hoarding as a mental disorder and it is because of underlying anxiety issues that those affected develop an inability to throw anything away. This leads to dangerous and unsanitary conditions in a home as the hoarded items clutter the home and allow mold, bacteria, and other harmful substances to grow. RestorationMaster provides hoarding cleaning services to fully clean and disinfect hoarders’ homes in Summerville and Goose Creek, SC. 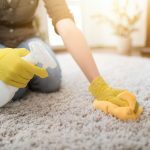 Our technicians are equipped to effectively clean and sanitize the home and we also involve the affected individual in the process to give them some element of control. Tile and grout are among the most durable and moisture resistant surfaces in a home, but they are not invincible. The finish on tile and grout surfaces gradually wears out which invites moisture, dirt, and debris to buildup that can cause the color of the tile to fade. RestorationMaster provides tile and grout cleaning services in Summerville and Goose Creek, SC to remove embedded dirt and mildew from the tile and grout lines. We will revive the original color and appearance of all your tile and grout surfaces with our state-of-the-art, high pressure cleaning equipment. 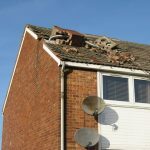 When a major injury or death occurs on your property, it is important to stay composed and call the right authorities to respond to the scene. 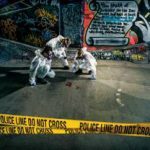 The scene of a serious accident or violent crime normally contains dangerous biohazard materials such as blood and other bodily fluids and if they are not cleaned up properly, there is a good chance they could spread disease and infection. 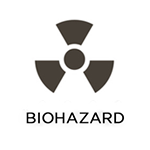 RestorationMaster provides biohazard and trauma scene cleaning services in Summerville and Goose Creek, SC to clean up biohazard materials and reduce the risk of negative health effects. We will make sure the scene is restored to a safe condition and we approach these situations with a sense of compassion and respect.